When profitability drops, you gotta fight back. BMW is about to embark on what will be its biggest rollout of new as well as updated models in its entire history. The reason? It needs to regain lost sales to arch rival Mercedes-Benz. Automotive News reports that over the course of the next two years (yes, only two), BMW will debut a total of 40 variants, such as the new X2 and X7 crossovers. "We are launching the biggest model offensive ever," stated CEO Harald Krueger. "We have started a transformation unlike anything our company has seen before." Krueger and crew are motivated by the fact that sales have dropped below Mercedes for the first time in ten years. 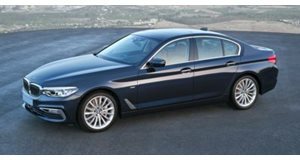 In fact, 2016 was a six-year low for BMW. What’s also interesting is that Krueger, who only became CEO in 2015, is forging an interesting path to profitability. Instead of being conservative with the usual batch of redesigned familiar models, such as the 5 and 7 series, Krueger wants to conserve resources in order to be ready for the expensive shift to EVs, autonomous cars, and other rapidly developing automotive technologies. For example, the fully autonomous iNext is expected to arrive in 2021. Only last year, BMW spent 5.5 percent of its total revenue on research and development, amounting to more than 5 billion euros. That investment trend will continue in 2017 and 2018, but at an even higher rate. 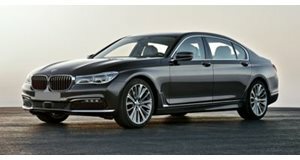 As we’ve previously reported, BMW is also working on a new 8 Series flagship that will be better placed to challenge Mercedes at the higher end of the luxury segment.